All most all candidates are interested to get a job in Government sector, but due to the lack of knowledge on the entrance exams pattern and preparation,they are wasting their time on preparing all the subjects and being confused in the exam, so, before preparing for any competitive exams, you must know the exam pattern,syllabus and if possible get some previous papers and decide your self which subject has to skip. 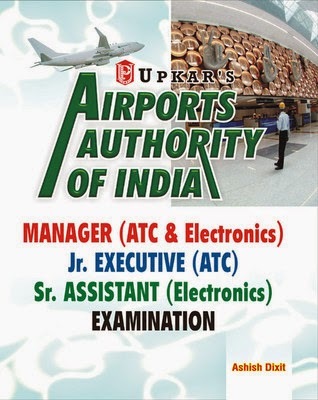 Airport authority of India AAI is one of the leading PSU sector in india, they releases notification for recruiting young and dynamic engineers-Electronics, communications,electrical for various posts like air traffic control (ATC), Junior executive electronics and so on..
here we are providing two useful books for the AAI competetive exam, in these books they cover all the syllabus related to the ATC and Electronics and previous practice papers. 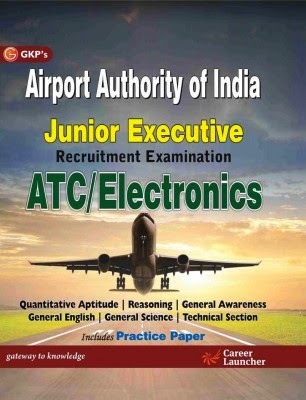 AAI junior execuitve ATC/Electronics books with practice papers by GKP. Nice blog.Thanks admin for sharing this information this is really one of the most beneficial blogs I’ve ever browsed on this subject.I hope this will be useful for many individuals to start there career in Aviation Academy in Chennai|Aviation Courses in Chennaito get a great scope in future.